Botticelli is one of the most admired artists of the Renaissance period and his seductive Venus and graceful Primavera are among the world's most recognisable works of art. 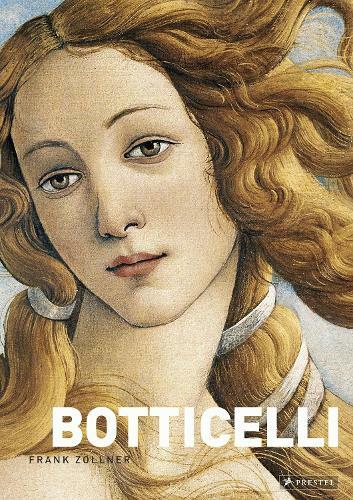 This catalogue raisonne of Botticelli's paintings offers more than two hundred full-colour illustrations and meticulous scholarship by the distinguished Renaissance art historian Frank Zollner , described by The Financial Times, when reviewing this book's previous edition, as "a fabulous, accessible scholar; his book has luscious reproductions and exquisite detail." Presented in chronological order, the facts of Botticelli's life and career are insightfully discussed against the background of the artistic upheaval that marked the Renaissance period. The artist's reinterpretations of ancient myths as well as his religious paintings are thoughtfully explored in this sumptuously illustrated volume, which will please scholars and delight lovers of fine art books everywhere.